Told you I'd be back with another review? And Arnold's back, too. Again. Wish he wouldn't be, considering the disappointing result. Once again a franchise is mucked up by messing with its time line. The producers obviously tok a hint from the financial success (brief as it was) from the recent Star Trek reboot. I hated it, because it created a new time line that hardly acknowledges the old which was running for nigh 45 years, basically saying 'anything goes' from here on out. I would have preferred it if they had shown more loyalty to the existing time line and its fanbase. Surprisingly, that is the route taken for Terminator Genisys, with equally lackluster results. In this movie's case, the new time line does nothing but acknowledge the old, resulting in a total nostalgia fest that rehashes characters, events and particularly oneliners from the previous installments. It offers nothing new, and only shows you the limits of the Terminator franchise if there is a mandate in place to incorporate the ingredients of its past successes, which was put in place because the previous installment, Terminator Salvation, offered too much novelty for many. I appreciated that movie for it. There's no innovation or novelty in Genisys, whereas in Trek's case by comparison, there was a little too much for my taste, so much so that it just didn't feel like Trek anymore. 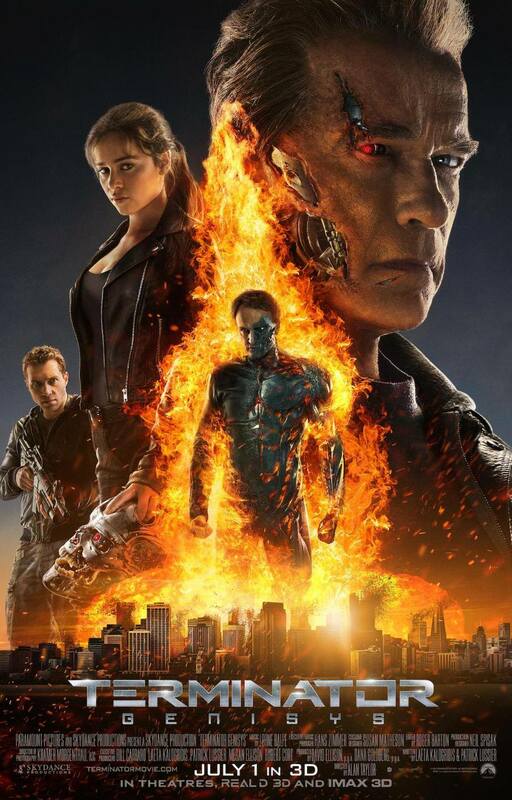 This movie undeniably feels like a Terminator movie, but still leaves a lot to be desired.